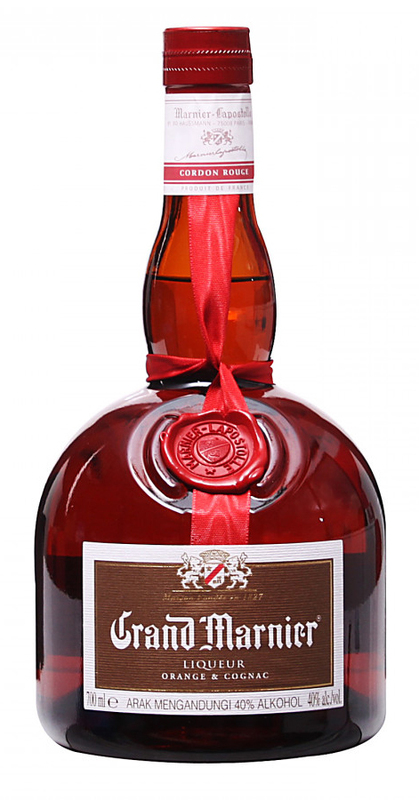 Proprietary French aged orange liqueur in brandy base of great acclaim; available bottled in various agings. Invented by Louis Alexandre Marnier-Lapostolle in 1880, its name was an ironic thumbing of the nose at other French liqueurs of the era - which often began with the word "Petit". Notable in the Satan's Whiskers (Straight) Cocktail.